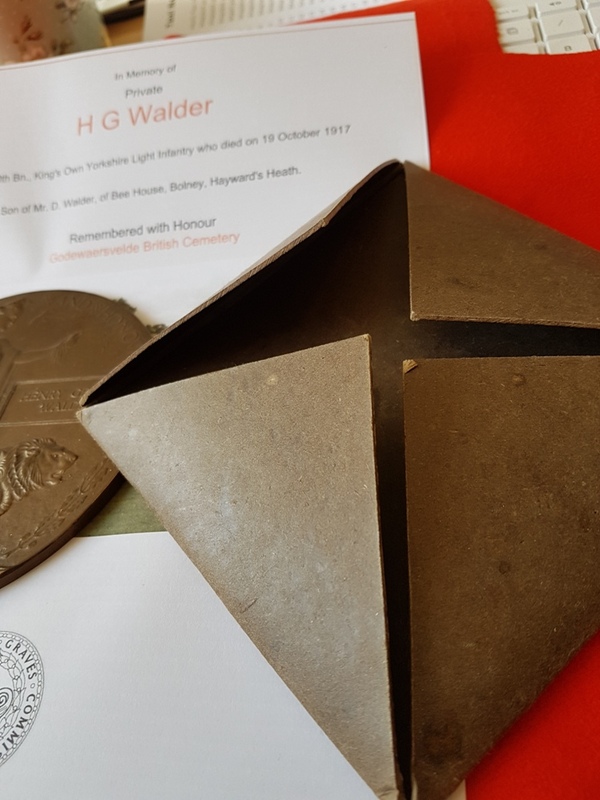 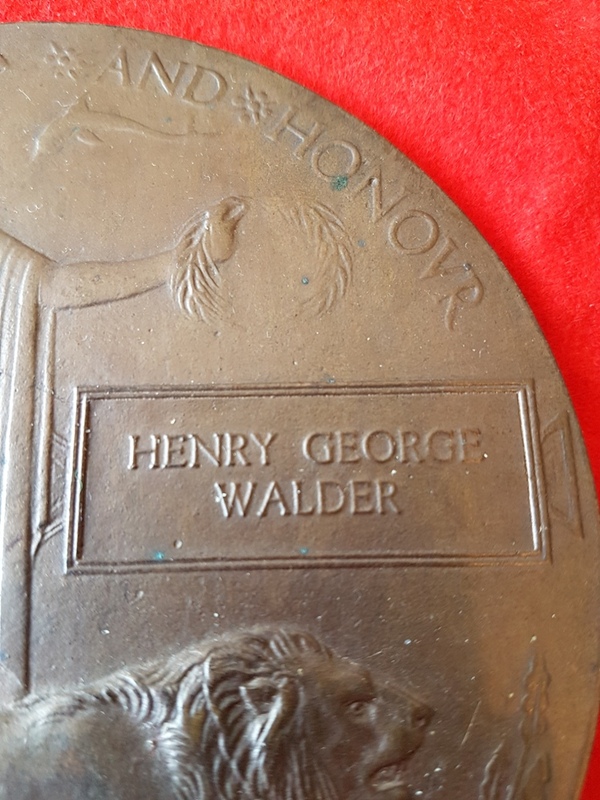 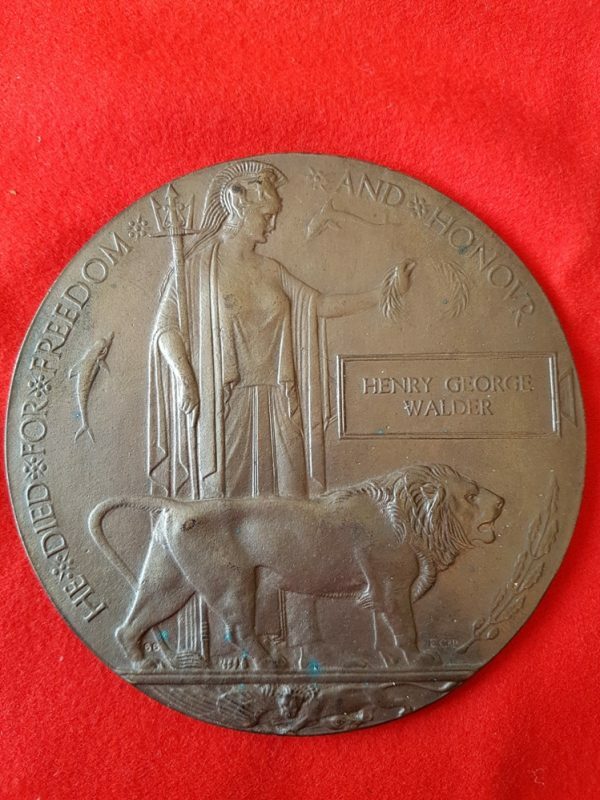 Great War Memorial Plaque to Henry George Walder in waxed box of issue. 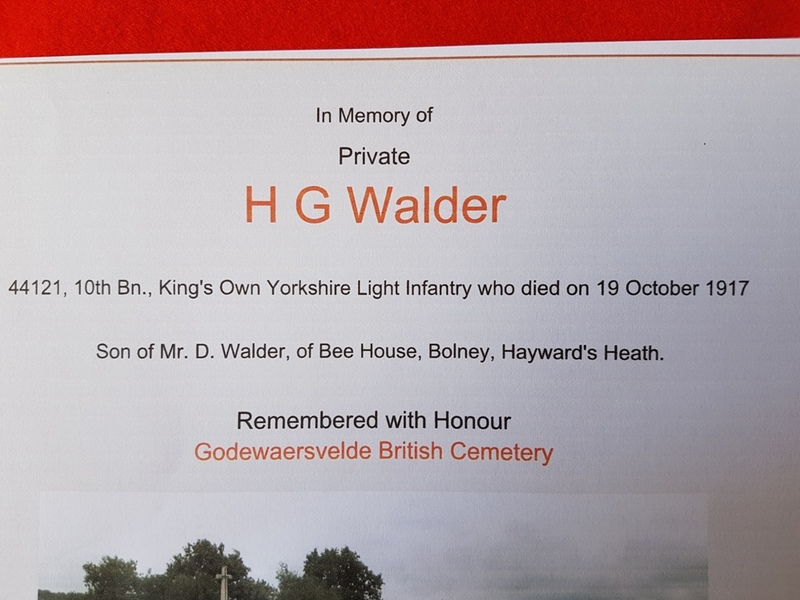 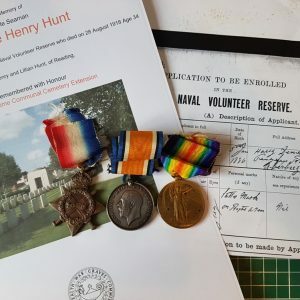 Henry George Walder served as 44121, 10th Battalion, King’s Own Yorkshire Light Infantry. He died 19th October 1917 and is remembered with Honour at the Godewaersvelde British Cemetery. 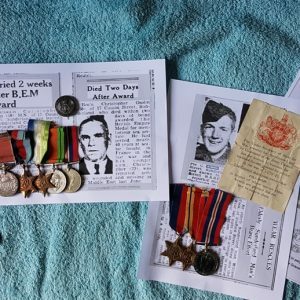 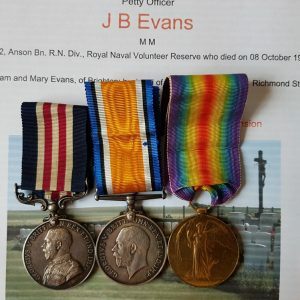 He is entitled to a British War Medal and Victory medal pair. He was the son of Mr D Walder of Bee House, Bolney, West Sussex.